Hiya guys! Happy... uhh... is it Monday? Everything is such a blur, haha. Last week was a crazy kind of week with my new medication making me sleep odd hours and me stay up until 8 a.m. everyday. I didn't work all week, which was the only real positive I suppose. But on a negative, I missed posting my nail art for the next prompt of the 40 Great Nail Art Ideas challenge. 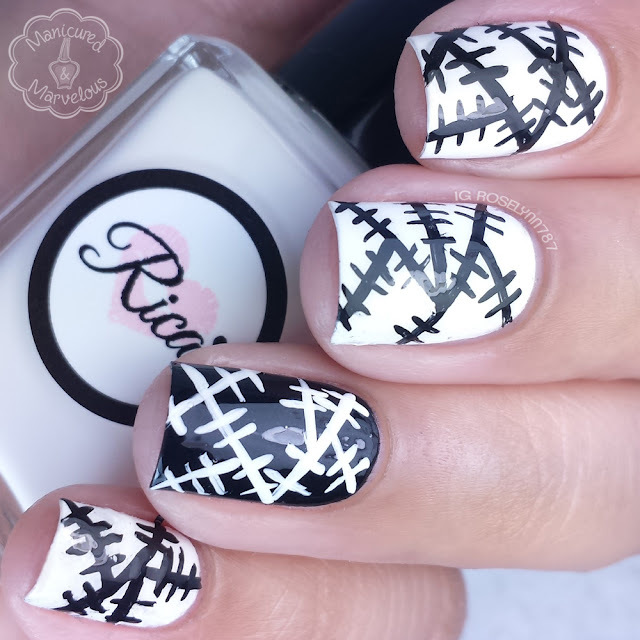 The prompt was black and white patchwork, seems simple right? I thought so until I actually tried doing it, haha. I always feel like some of the more simplistic manis are actually harder to pull off. Especially when you're limited on what you can do like in challenges. Whenever I think patchwork, I think a bunch of different colors and patterns stitched together. Don't you? Having to pull this off in black and white only equated to a very frustrating couple of hours of nail fails. In the end, I don't think I am fully satisfied with how this ended up turning out. I long for color! In the future, I'll definitely want to recreate this look with a lot more colors involved. The polishes I used in this design are Rica's white polish (which is mainly used as a stamping polish) and Nail Hoot's black (also a stamping polish as well). I freehanded all the lines using my new Winstonia super thin brush, I don't know the exact sizing but it is from their new berry-wine set. From there it's just a lot of lines.... and lines on lines on lines. Doesn't it look like a stamp almost? Especially in the macro shot below. 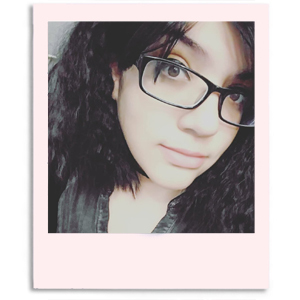 Although I'm not completely happy with the way these turned out, I do like them to a certain extent. Let's just say I feel I could of done a little better with the pattern. This is definitely starting to become more and more challenging as time goes on, but I suppose that is the whole point haha. Don't forget to check out the other ladies who participated in this weeks challenge prompt. Well done!! I guess patchwork using only black and white is a huge challenge but you did very well! When I think of patchwork I do think of colour but you pulled this off very nicely! You did a great job with these. I've never done a patchwork mani. I think these are great, but I can certainly see where it would be a challenge! Oh I love this look, you did a wonderful job! Super cute look, it's perfect for the prompt! Very impressive!! Your lines are fantastic!